Citizens! 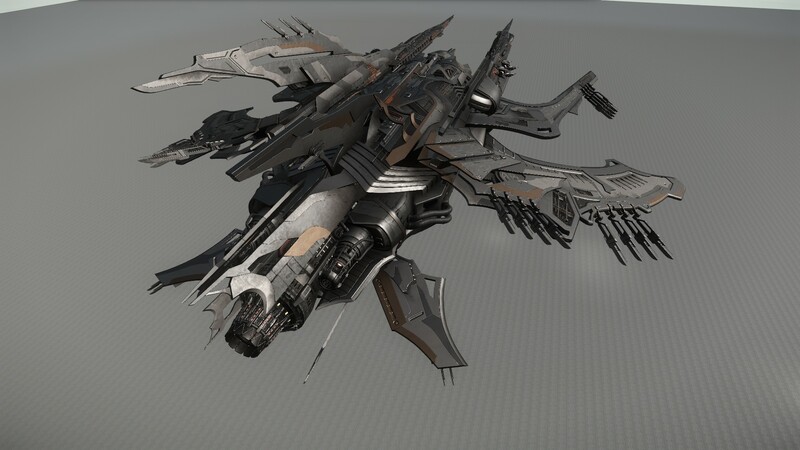 CIG has unveiled the Vanduul Void bomber. 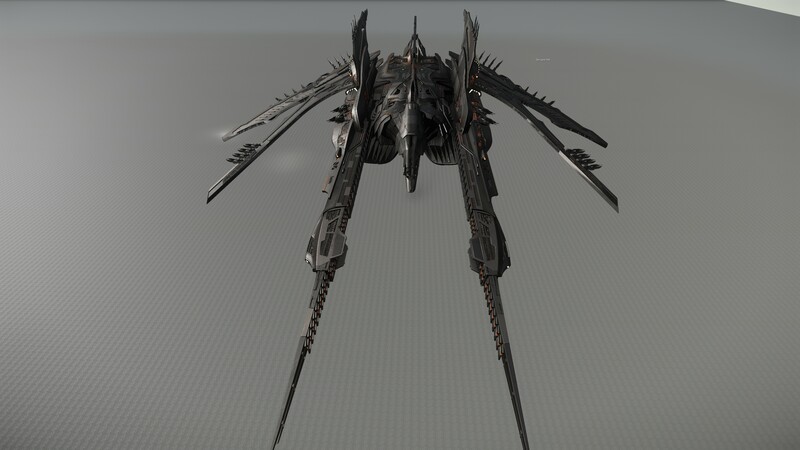 The Vanduul Void bomber has been unveiled by CIG in the form of a Classified UEE Navy Report. 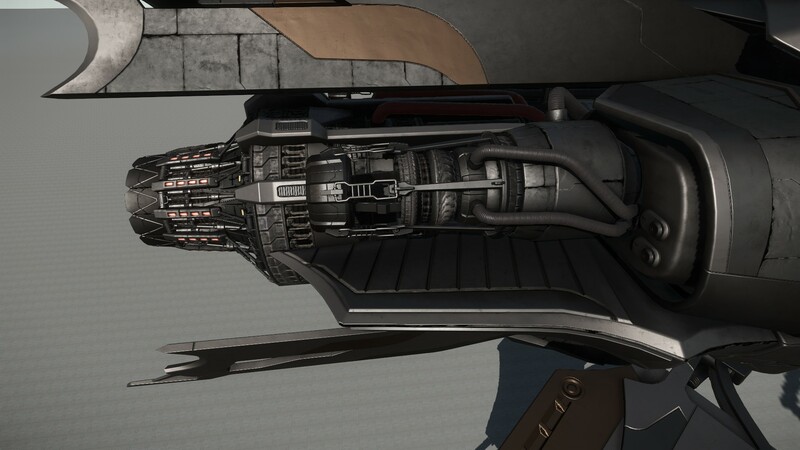 The report details an attack by a pair of Vanduul Void bombers on civilian refueling station “Diamond Jim’s Fuelporium” in the Oberon system near Oberon VI. Unfortunately all 56 aboard were killed and the station destroyed before the 341st Squadron of the UEE Navy could arrive. 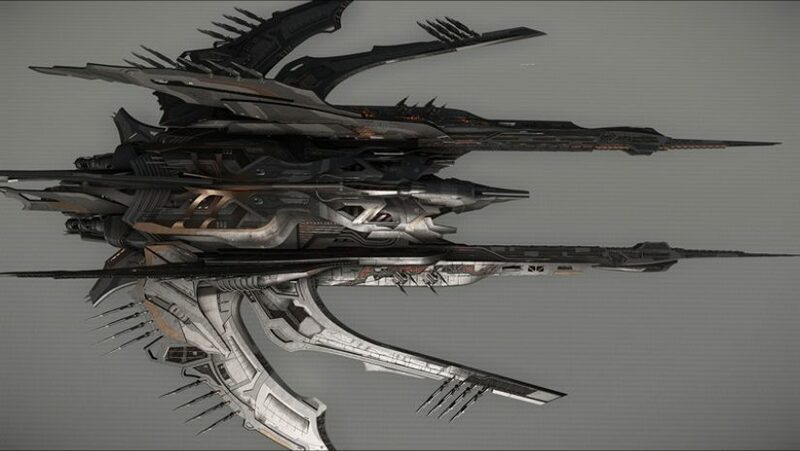 So, I think this is a pretty badass looking ship. It’s definitely going to inspire fear in the hearts of anyone taking her on in the ‘Verse. 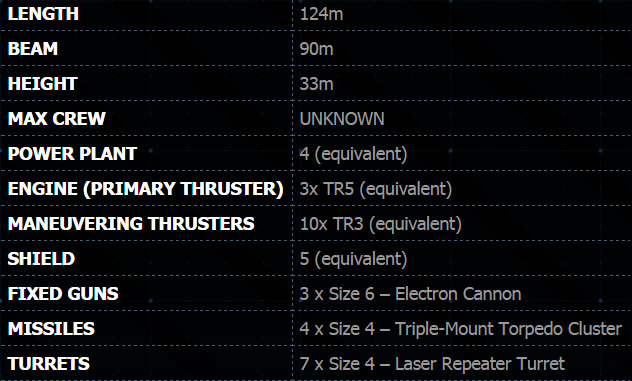 At 124 meters, she is 53 meters longer than the Retaliator. 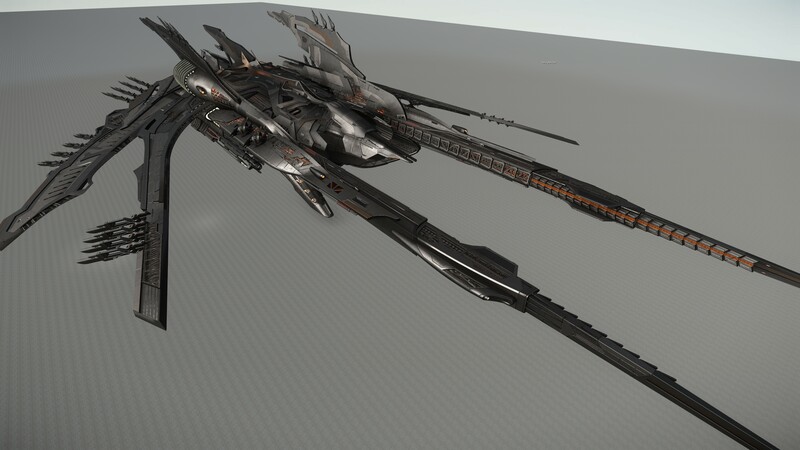 As you can see above, the Void’s armament matches her size. You will definitely want to have cobbled together a significant fighting force to take on one of these beasts out in the black. Also, I’m not sure about the rest of the Citizens out there, but I am eager to someday venture to Oberon VI and see if, nearby the planet, there is a debris field from “Diamond Jim’s Fuelporium”.